Accounting – Biuro rachunkowe, księgowe, wirtualne: Warszawa, Wrocław, Katowice, Kraków – Credos Accounting Services sp. z o.o. o you bustle in and out different offices, trying to understand various rules whereas balance sheets, books and financial statements rob you of your sleep? STOP! It is better to start developing your core business and let the rest to be taken care by our accountants. Full range of accounting services rendered by Credos means not only long- standing and wide experience in accounting, but also a team of specialists who truly like their job. 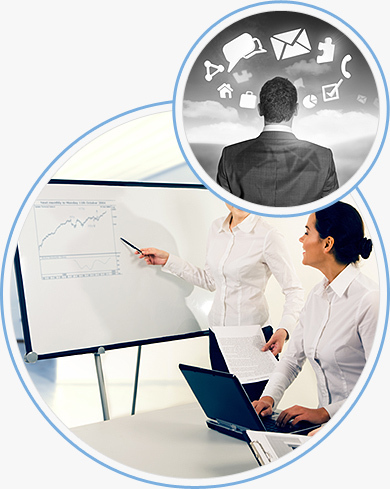 We could list here all areas covered by full range of accounting services rendered by Credos. Since you probably know them by heart, we will not take your precious time that you could make a better use of. systematic on-line preview of current status of tax settlements and billings, financial analysis, profit and loss account and other information necessary for an enterprise to operate properly. The purpose of full accountancy is to relieve management boards of standard accounting activities and settle unusual financial projects. In Credos, we adhere to such fundamental values as integrity, accountability and openness in communication. Full range of accounting services rendered in Warsaw, Katowice and Wrocław allows our partners to spread the wings in key areas of their business. It also gives them the comfort of having permanent access to all data of their company (including through logging into our system) as well as an opportunity to draw on constantly widened experience and knowledge of our accountants. We also know from personal experience that a good, trusted, and reliable accountant is not easy to find. However, over the years of conducting business activity we managed to create a team of enthusiasts of accounting processes who are always ready to support various orders. We are looking forward to doing business with you - Credos Warsaw, Wrocław, Katowice.